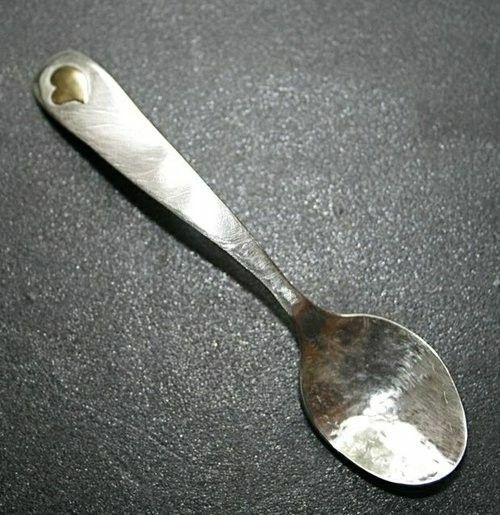 Very simple hand forged and finished sterling baby spoon embellished with a tiny hear. Laura was flawless in helping me to decide on the design of the silver baby spoon and was very patient with me in answering all my questions. I love the freeform initials and the date etched onto the back...it makes this very unique and special for my sweet grandson! The finished product is amazing and I will definitely want to work with Laura again on a new project. Thank you, Laura Friedman! You are super talented.